What are you not allowed to take into the parks? 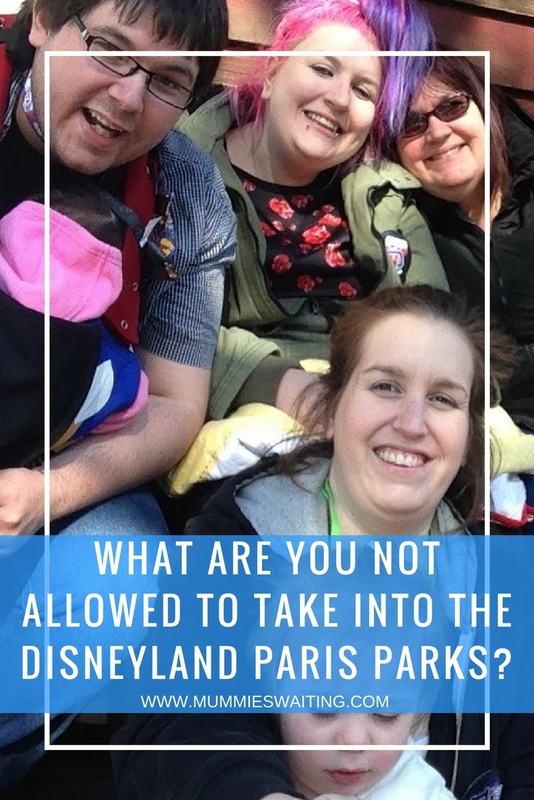 Did you know there is a list of things that you are not allowed to take into the parks? Don’t get caught out at the parks, leave these things at home. Some of these might even surprise you! It maybe surprising, but for safety reasons, selfie sticks are band from both of the Disneyland Paris parks. Don’t worry though, there are plenty of people around who will happily grab that perfect family shot for you. Items like suitcases, scooters, skates, skateboards or shoes with detachable wheels are not allowed in the parks, so made sure you’ve dropped your case off and have sensible shoes on. Disneyland Paris is a happy place, although you can have a drink with your meal, you are not permitted to bring your own alcoholic beverages into the parks. Seams obvious, but needs to be said, even if you have a gun licence, weapons can’t be brought into the Disney Parks or hotels. Sorry, but you either going to need to find a bench or sit on the ground if you want to sit at Disneyland Paris, there are no folding chairs allowed. One I didn’t realise is that glass bottles (including perfume, jars etc) are also not allowed into the parks. Only guide dogs or service animals are allowed into the parks. Good news, you can in-fact take food and drinks into the park, so pack your sandwich and snack, grab your drinks bottle, but don’t take a hamper. Picnic hampers are not allowed into the Disneyland Paris Parks. Did you know this? Are you surprised about anything? Don’t worry, if you were thinking about taking a selfie stick, these lenses work really well as a replacement! Use my affiliate links to grab them or the holiday deal below!